ABOUT: The story of the legendary rock band Queen and lead singer Freddie Mercury, leading up to their famous performance at Live Aid (1985). 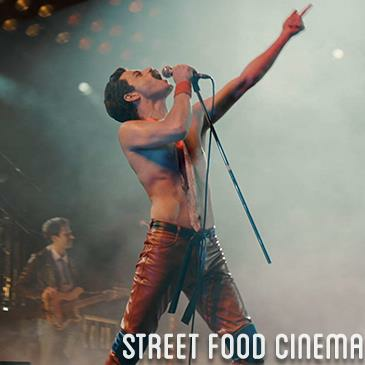 LIVE MUSIC: Visit www.streetfoodcinema.com/bohemian-rhapsody/ for the most current Live Music listing! FOOD TRUCKS: Visit www.streetfoodcinema.com/bohemian-rhapsody/ for the most current Food Truck listing!